Too often, Iâ€™ve found myself strolling through MoMA, claiming, â€œI could do that.â€ The Jackson Pollack splatters. That one white canvas painted...white. I think itâ€™s also called â€œWhite.â€ So when Vimbly asked me to explore the best possible painting classes in NYC, I jumped at the opportunity to prove my worth. But, as someone who struggled finger-painting growing up (I donâ€™t like to get dirty), I needed a basic introduction into the world of painting. Of all the vendors I tried, Painting Lounge offered the best painting class in NYC. Not only was the instruction fantastic, but also Painting Lounge helped me understand, even more so, why these paintings are so highly regarded, and why those white, â€œelitistâ€ images are a bit more challenging than my abecedarian mind had anticipated. In this class, our instructor, Julie, had us paint a replica of Gustav Klimtâ€™s â€œThe Tree of Life.â€ The class was small and intimate. It seemed like a great way to meet new people. Supposedly, thereâ€™s a BYOB policy, but, for this class, it wasnâ€™t in effect. Sad! When I reached the canvas, I noticed that Painting Lounge operates off a â€œPaint by Numberâ€ curriculum, which basically means that thereâ€™s a simple trace on the canvas to help guide you through the painting. Some people may not like this, but I found it extremely helpful due to my inability to even paint stick figures. Also, have you seen tree of life, with all the branches and roots jutting into every direction? Thereâ€™s so much going on that I donâ€™t even know how youâ€™d paint a replica without the trace. Following the lead of Julie and the traced canvas, I actually produced a painting that I semi-liked. 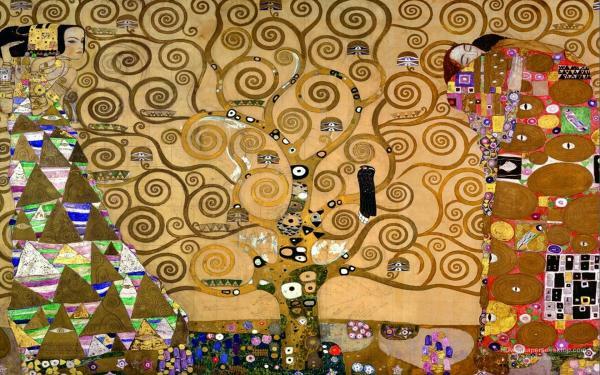 It resembled Klimtâ€™s original work, to some degree, without any noticeable overpainting. Overpainting is kind of like plastic surgery. You take something that looks okay, but you continuously try to improve it, resulting in a hideous over exaggeration of the original work. 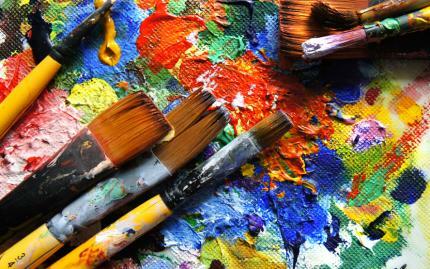 Painting Lounge offers to frame your work for $35. I decided against it and took it home to be displayed simply on my wall. Overall, the class was a blast, and I met a few interesting people along the way. Itâ€™s fun, social, and relaxing. I learned more about painting in this two hour workshop than I did in any art class I took growing up. While my painting wasnâ€™t anything to brag about, it may have the potential to actually impress someone. Thatâ€™s more than I could say two weeks ago. This is definitely a place Iâ€™ll return, hopefully, with a bottle wine in hand. Keep it up Painting Lounge! **Oh, and for those of you â€œnever goâ€ to Brooklyn, Painting Lounge is literally across the street from the Lorimer stop on the L, which is only five stops from Union Square. It takes longer to get to the Upper West Side.